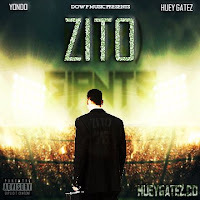 Huey Gatez has straight aim with his new tape “Zito”. Make sure to download and share this new project with your friends. Huey Gatez put together a all new project showcasing his skills once again coming straight out of Chicago. Keep up with Huey Gates at his social media accounts below and give him feedback about his latest project.